Since the early 70 José Antonio Martín is dedicated exclusively to the world of agriculture. In the early 90 would finally realize his dream , founding his own company, called Agromartín. 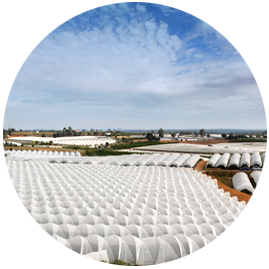 Over the years and through the work of José Antonio Martín, your company will become one of the most prestigious in the cultivation of strawberries and peaches in the province of Huelva companies. In a harsh, demanding and competitive as that of this province, with production of strawberries, 95 % of our country, sector success Agromartín is the result of respect for tradition, experience in agriculture, research and the ability to adapt to new technologies. We are a dynamic and growing company. We do our job as best we know, offering maximum guarantee for all our products, quality and warranty Agromatín. We have grown both in the production and marketing of our fruits. Because today we market our products in most of the European market ( England, Holland, Belgium, Nordics , Eastern Europe, etc …) and how in countries outside the likes of Russia and UAE. In recent times we have received important quality certificates as GRASP ( GLOBALGAP Risk Assessment on Social Practices ” ) and BRC (British Retail Control). José A. Martin begins his work as producer of horticultural products for sale in the local market. José A. Martin along with Isabel Ortiz, his wife, is dedicated to cultivate and little by little, they see how their first strawberry production of one hectare is growing. Agromartín SL is born as company to market its own production. The first plot of nectarines is planted as an alternative product to strawberry, (2 hectares). 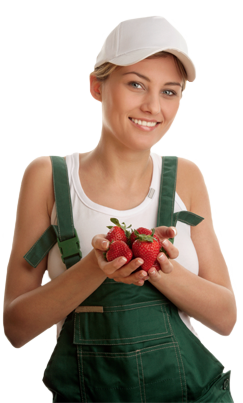 Plus Berries is born along with three other companies, to offer a complete range of berries with the maximum guarantee of quality and service. Nowadays, we have more than 1000 employees working during the season, annually managing over 4 million strawberry plants and 55.000 fruit trees of own production, In fact, we are the earliest producer of the northern hemisphere.